What more would you like to learn about your storm? Come up with a driving question based on your topic. Something you are interested in and would like to know more about! 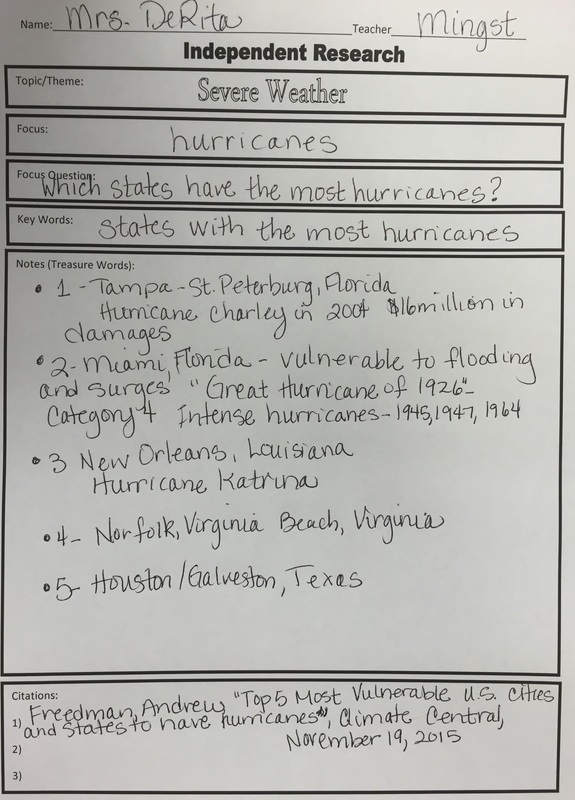 On your worksheet write down your: Topic/theme (Severe Weather), your focus (hurricane, thunderstorm, tornado), create a focus or "driving question" (something knew you'd like to learn about your storm), and pull out your key words. Use the "safe search" engine, take notes ("treasure words"), and cite your source---all on your own!